The incidence of gout increases with age and it is related to comorbidities and longevity. It is especially important for those caring for our aging population to provide accurate diagnosis, and adequate and effective treatment . Hyperuricemia and gout are associated with cardiovascular disease and other features such as the metabolic syndrome  occur more often as renal function (and urate clearance) declines as it does during aging. 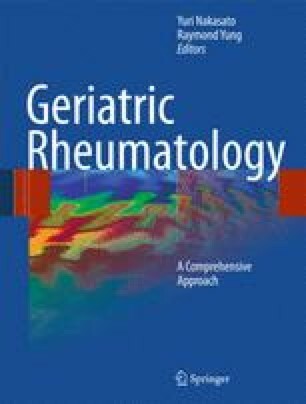 Acute painful gouty arthritis can be induced with the use of needed drugs in elderly patients such as diuretics. Gout, although uncommon in premenopausal women, occurs commonly in women past the menopause. This is in part due to the loss of the urate-lowering effect of estrogen. Although the general features of effective treatment have changed little, some detail can allow improved use of current modalities. In addition, some newer agents are becoming available and are important to understand.